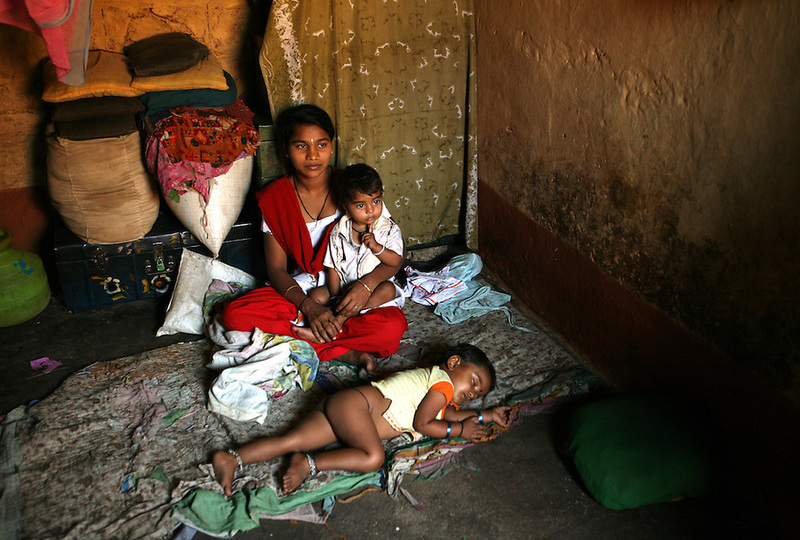 Kavita Kurbati, 18, sits inside her family home in the bustling town of Gokak, India, waiting for a customer. In her arms is daughter Chaitra (1) and sleeping peacefully at her feet is Rakshita (3). When Kavita reached puberty, her mother, drawing on an ancient religious tradition, dedicated her to the Hindu deity, Yellamma, thus turning her daughter into a Devadasi or "female servant of god". This meant that Kavita was "married" to Yellamma, which made her ineligible to marry a mortal. Instead, as a means of pleasing Yellamma and bringing better fortunes to her family, she would serve as a "temple prostitute", satisfying the needs of men in her community.